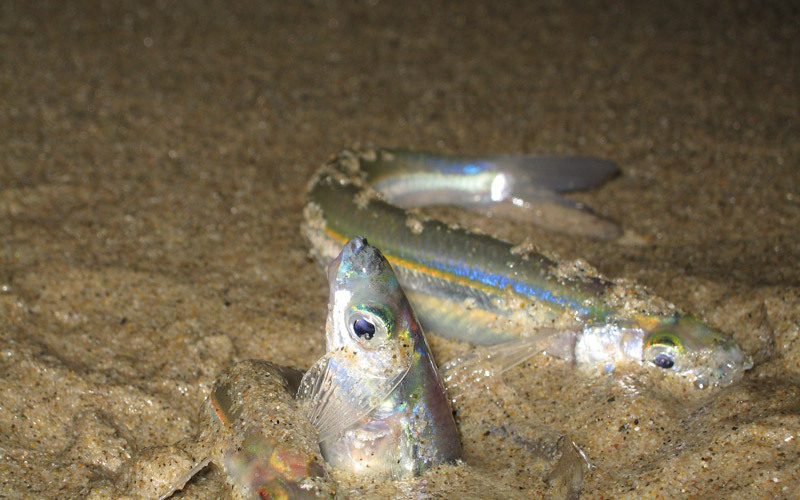 Load the kids into the car and grab the two out of five flashlights in your house that actually have working batteries: Starting Sunday night, countless silver fish will be washing up on Southern California beaches for procreation, and it is a sight to behold. Here’s how it works: When high tide comes in, females slither up onto the beach, bury themselves halfway into the sand, and lay their eggs. The males then wrap themselves around the females to deposit sperm onto the eggs. All the while humans can marvel at the whole magical spectacle. The eggs remain in the sand until the next high tide sweeps them out to sea and they hatch. 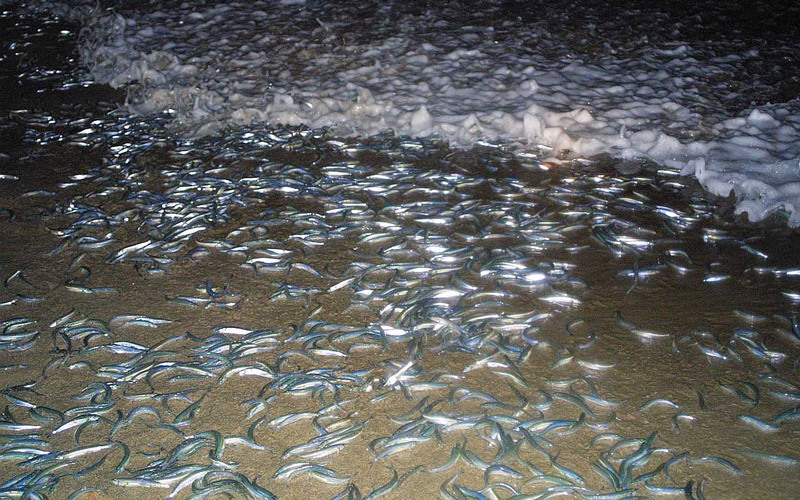 Predicted grunion runs begin this Sunday night between 10:30 p.m. and 12:30 a.m. and will continue each night through Wednesday at the following times (the best nights will likely be Monday and Tuesday). Monday: 11:00 p.m. – 1:00 a.m.
Tuesday: 11:30 p.m. – 1:30 a.m.
Wednesday: 11:55 p.m. – 1:55 a.m.
There’s no failsafe guide when it comes to selecting a beach. Just look for one that is relatively flat with smooth sand and good waves (Santa Monica, Venice, Hermosa Beach, Cabrillo Beach, Long Beach, and Seal Beach are all good candidates). If you go to see a run but don’t happen to be at the right place at the right time, you’ll have more opportunities: runs will be occurring about every two weeks between now and August, with the full schedule here.